STEP #3: Join the group discussions, attend our events and have fun! 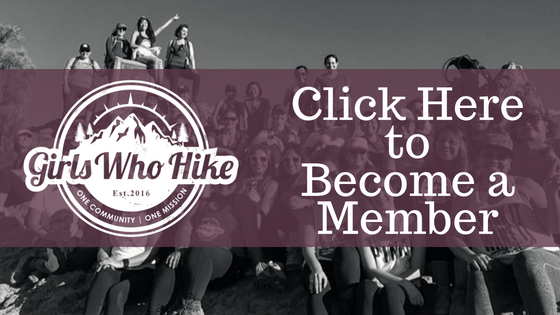 Enjoy all of the benefits of being a Girls Who Hike member by participating in regular group conversation, asking questions, giving advice to other members, attending our regular events, and being a positive member throughout the forums. What you get out of Girls Who Hike is largely dependent on what you put into the group... don't be afraid to join new chapters for places you've been dying to explore, offer to join a newbie on a slower hike to network/make new friends, give words of encouragement to another member who had a rough day on the trails. We're proud of our community and wonderful members engaging on a daily basis within... we can't wait for you to join us on a future meetup!